Green Banana Smoothie - A recipe from Savor California, the online showcase for extraordinary gourmet foods and beverages from California. Place all ingredients into blender and process at highest speed until smooth. Kale may take awhile to blend depending on the power of your blender. 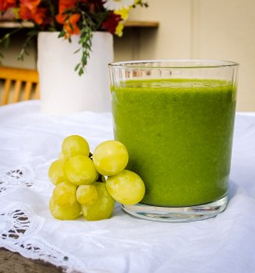 A healthy green smoothie for “go power” is a wonderful way to start your day.